Models of Excellence are becoming increasingly popular in defining, predicting and improving performance in various roles in business, education, and government. Understanding the art and science of building Models. Carl L Harshman, Ph.D. is the founder and president of The Institute for Work Attitude & Motivation, an organization dedicated to education, research, and application of innovative tools for helping organizations, teams, and individuals achieve peak performance. During the last three decades Dr. Harshman consulted to major corporations and the social sector through Carl L. Harshman & Associates, Inc., an organizational development, leadership development, and performance consulting company headquartered in St. Louis, Missouri. In his work, Dr. Harshman merges practical experience with the study of human and organizational development. As he transitioned from the university to consulting, Carl was a leading edge consultant involved in a series of national initiatives to help large corporations change their cultures through employee involvement and increased emphasis on the human dimension of organizations. In the past two decades Carl’s work has expanded to include aligning business strategy and culture with the leadership of the organization. In that capacity, he works with organizational leadership teams in the creation and implementation of integrated strategies. Consulting clients include corporation such as Ford Motor, John Deere, General Dynamics, Goodyear, Boeing, Engelhard, National Steel, DTE Energy, General Atomics, and USEC Inc. Public sector clients include the United States Navy, the State of Washington, King County (WA), and the Municipality of Metropolitan Seattle. In the early stages of his career, he consulted to a number of colleges and universities and has worked with Wyman Center, The Missionary Association of Mary Immaculate, and the Center for Principled Family Advocacy in the not-for-profit sector. Dr. Harshman is a certified executive coach who works with executives and business unit leaders. His clients include a chairman of the board, chief executive officers, and key managers in businesses and the social sector. He is also certified in the use of strategic planning tools, executive assessment programs, and the Language and Behavior Profile. 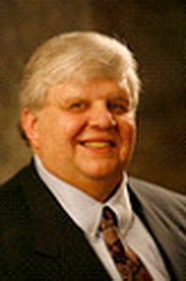 Carl has presented at regional, national, and international meetings including the Association for Quality and Participation, Ecology of Work, Work in America Institute, the Industrial Relations Research Association, and the International Association for Business Ethics. He has also given commencement addresses at the high school and college levels.